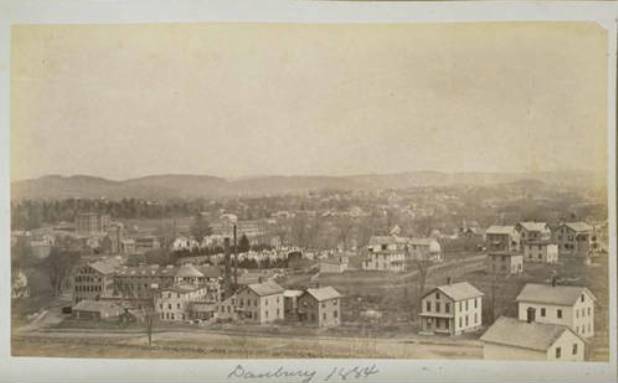 From the 1850s to World War II, Danbury boasted of being the “Hat City of the World.” Although Danbury’s hat-making industry dated back to 1780, advances in the mechanization of manufacturing processes contributed to its rapid growth in the mid-19th century as did consumer demand for felted fur hats. That growth came with a price, however. During this era, the term “hatter’s shakes” became commonplace in the United States and Europe. It referred to the tremors experienced by workers whose prolonged exposure to the toxic mercury used in making headwear had devastating effects. 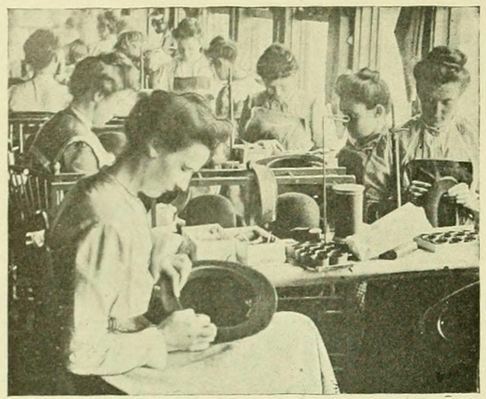 In Connecticut, the physical condition was termed the “Danbury Shakes.” Focusing on Danbury’s hat manufactories, a coalition of union leaders, public health officials, and reformers in the Progressive Era fought to ban the use of mercury. Felt is a textile made by compressing, rather than weaving, fibers together. 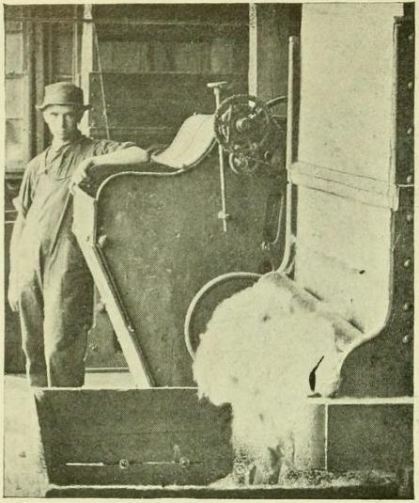 At the time Danbury’s hat-making industry came into force, animal fur served as the preferred fiber for making felt—thus the term felted fur. The manufacture of felted fur hats involved a process called “carroting.” The fur of animals, usually rabbit or beaver, was washed in an orange-colored solution containing mercury nitrate, a salt produced by nitric acid. Carroting the fur accomplished two important steps in hat making: it made it easier to separate the fur from the animal pelt and it caused the fur to shrink, mat together, and become felt. Danbury’s hat-makers were exposed to mercury, not only in the carroting solution, but as vapors and dust wafting through the small factories that lined the Still River. Those involved directly in the carroting process were at greatest risk, and their prolonged exposure could, and did, result in mercury poisoning. The effects of mercury, a silvery white chemical which has a toxic effect on the nerves, vary in degree. Sufferers experience a wide variety of symptoms: painful itching, burning or peeling skin, loss of hair and teeth, swelling, sweating, and asthma. Slurred speech, dizziness, mental confusion, and hand tremors were often—and mistakenly—thought to be the effects of drunkenness. Prolonged exposure to mercury affects the human body’s central nervous system, resulting in uncontrollable muscle twitching, difficulties in walking, speaking, and thinking, and hallucinations. Exposure also affects the emotional state: irritability, excitability, timidity, and difficulty in getting along with people have been cited in medical studies. The effects of mercury poisoning are partially or totally reversible. The mercury poisoning of hat-making workers was first noted in medical literature in 1860. 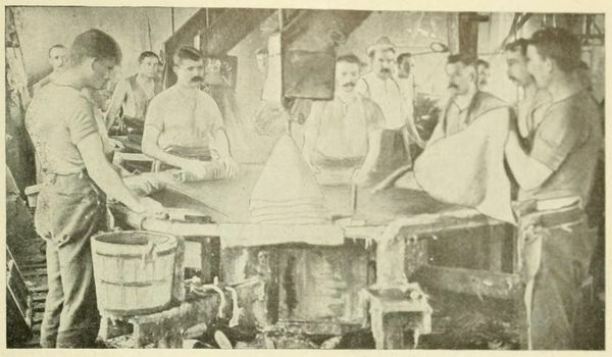 The Connecticut State Board of Health monitored the effect of mercury in Danbury’s hat-making factories in the 1880s and 1890s, but as long as the carroting process did not affect the health of the general public, the health board did not act. [of] 100 union hatters of Danbury, Conn., examined by experts, 43 had mercury poisoning… . Boys 20 and 21 years old are already so badly poisoned that their hands shake continually, while many of the men who have served longer at the trade cannot even feed themselves. New Haven-born Grace Mailhouse Burnham, who had established the workers’ health bureau, sought and found an alternative, nontoxic carroting treatment in the Soviet Union but could not reach accord with hat manufacturers to adopt it. As part of a workers’ compensation legal case, public health pioneer Charles-Edward Amory Winslow of Yale University also conducted an early study of the effects of mercury on 100 hatters in Danbury. The Danbury hatters themselves also fought for their right to safe work conditions. Through their local unions, they persistently called for call an investigation into the matter. Mercury poisoning was added to the state Workmen’s Compensation Act of 1913 and was recognized by the state as an occupational hazard in 1919. Yet, it was not until 1937 that a government study was undertaken. The final report not only found a high incidence of mercury poisoning among workers in the hat-making industry but also noted that alcohol and tobacco use were not to blame for their symptoms, as had been alleged by some manufacturers and insurers in court cases. The United States Public Health Service negotiated an agreement among hatters’ unions and the manufacturers in 26 states in which hat factories were located, ending the use of mercury in the production of hats. On December 1, 1941, Governor Robert A. Hurley announced Connecticut’s adoption of the ban on the use of mercury, saying that “it was possible to manufacture good fur felt hats without making physical wrecks out of hundreds of workers.” Hydrogen peroxide replaced the use of mercury. For many years after 1941, Danbury’s hatters celebrated the ban on mercury every December 1st. The mercury used in the manufacture of hats in Danbury did not simply disappear. High levels of the toxin are still evident in the ground upon which the factories stood and in the sediment of the Still and Housatonic rivers. Removal of soil to protected landfills is one solution, but it is a costly one. In 2003, the state’s Department of Environmental Protection, with federal assistance, planted on one factory site Eastern cottonwood trees that had been genetically engineered to absorb mercury from the soil. This process, called phytoremediation, is controversial because the trees emit traces of mercury into the air.